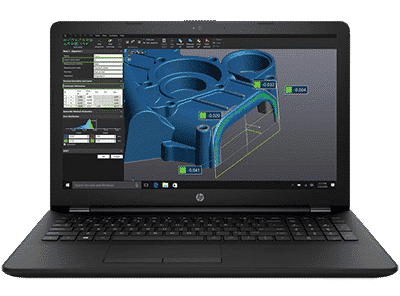 Creaform VXinspect is an intuitive and powerful 3D inspection software module designed for manufacturing companies conducting first article inspection (FAI) or quality control. VXinspect provides the simplest integration of probing, 3D scanning and photogrammetry measurements. VXInspect allows you to do a full GD&T inspection of your mesh. It allows you to very easily setup an entire inspection program and be able to measure the mesh directly against the CAD data. 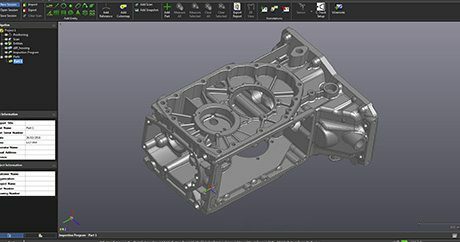 Doing a mesh to mesh inspection is also a useful capability if you are trying to inspect something that you don’t have the CAD data for but you do have a known good part that you want to use as the nominal.